Never in the history of our country, have we seen a general collaboration of the Republican, Green, Libertarian, and Constitution Parties against the War Machine that is Hillary Clinton. You can be a supporter of any of these four parties and still unanimously agree that Clinton is a criminal and the Democratic Party is rigging this election. The fact that all four of these major parties are in complete agreement should scream "WARNING" to those who are even remotely considering voting for Clinton. Then again, we can't comprehend it. We don't understand Clinton voters because we have actually read at least one article that shows the amount of war and body trail that Clinton administrations have left behind. The lies that have been told. The fraud that has been committed. Hillary's voters have not read one article about her that exposes who they are, without dismissing it immediately to being "just bad guys talking about a nice old woman." I've spoken to Clinton supporters. They are very unaware to what she really is. Look at Clinton's Facebook. It's nothing but stories of a nice old woman that's "fighting for women and kids." This is all they know about Clinton because this is all they see. Their environment is safe from the truth because they don't read online news. They see what's on TV once in a while, painting the Third-Parties as "never having a chance" and "a wasted vote." The only talk about Trump being "racist," a "sexist," this, that, and whatever. These people have a closed world view that everyone other than Hillary is "the bad guy" and we will be destroying the country for women and children. This is crunch time. This is the final showdown. The Globalist Bankers want to usher in Clinton to allow them to continue to rob the American people of their money and rights in broad daylight. You have to be gentle as they already view you as "the enemy." 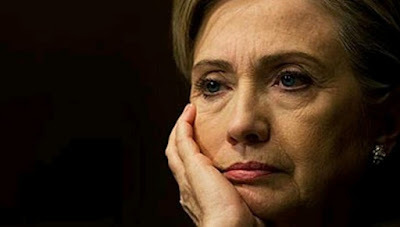 While frustrating, be patient with a Clinton supporter and explain that they should take a look at why every political party in America is terrified of a Clinton Presidency. Ask them to just think about that. When Jill Stein and Donald Trump are agreeing that Clinton is a threat to all of our safety and the world, maybe it will be enough for the idea to hit them to look at all the things that are being said. We can't afford another 4 to 8 years of what has felt like one giant Presidential term since Bill Clinton. War since him through Bush to Obama. Poverty and recession. Big banks getting bailed out and avoiding criminal justice. American citizens being killed by the militarized police state and the massive incarceration by the prison industrial complex. We can't as a nation afford this. Please, Clinton voters. We are asking that you simply ask the simple question, "Why is every political party and independents, terrified of Clinton and the people around her?" If she's truly the nice woman that wants to take care of women and children, why are we so scared of this? Just, please, think about it. Then start reading the articles we are sharing, listen to the things we are saying. All we ask is that you look and see what we are talking about and why we do. 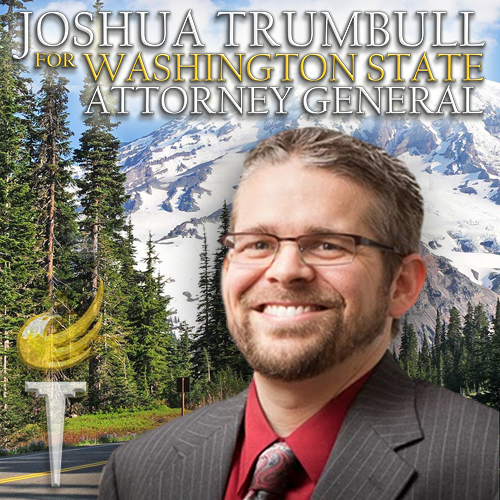 Josh Trumbull took a few minutes to sit down with the Liberty Chronicle Independent and tell us what the Attorney General position means to him, and how he will act accordingly within the position. Trumbull describes the position as the "People's Attorney." Joshua wants accountability and to address the fraud that is within our state and nationwide today. He has a great concern for the future of the children of our country and wants to ensure they have chance, compared to the landscape that is in place currently. Foreclosure and Bank Fraud are on top of his agenda to address. Josh details his "Community Protection Act" that deals with accountability that is currently not available for individuals and communities. Open Government and the ability for people to know what's going on are beliefs held in high regard to Trumbull. He states that he likes an "open door" policy in regards to citizens being able to communicate with his office and to represent the people. "Individual rights are paramount," as said by Joshua. Robert Sutherland takes a minute to let the Liberty Chronicle Independent know about his unique Congressional run for the District 1 seat in Washington State. Robert wants to approach things from a constitutional perspective, addressing the concerns for safety and the future of citizens. Sutherland is taking a unique campaign approach that he describes in the video, being a Scientist and a Veteran; making clear that he is not a career politician. Steve McLaughlin sits down with Liberty Chronicle Independent and gives his take on the role of the Public Lands Commissioner in Washington state and how he plans on helping Washington through the position (examples: Manager of the State Trust Lands and responsible for generating funding for Public Schools, Head of Department of Natural Resources to help generate revenue for state trusts and manage over 5 million acres of land in WA, Head of the largest Fire Department in the state). For those who may be unfamiliar with the role of the Public Lands Commissioner, McLaughlin explains in excellent detail. 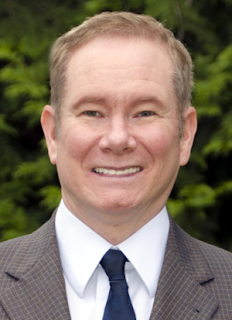 Steve has over 35 years of leadership experience through the NAVY and more. Steve plans on protecting the land and repair/manage the forests in WA. He explains how fires for many firefighters and other public servants have been injured because of the desperate need to maintain WA forests. McLaughlin is going to be on top of it. Steve wants a "no penalty audit" (unless criminal negligence is found) of our State Trusts and the Department of Natural Resources in order to know what adjustments need to be made, along with collaboration with stake holders. He wants to do this directly, rather than through long drawn out processes as he describes in the video. After interviewing Steve, a lot of insight in the role of the Public Lands Commissioner for WA is explained in a way that makes sense to everyone who may have been confused before. The amount of trust this position has is critical to the state of Washington. To learn even more and follow updates from McLaughlin, be sure to visit the website and like the Facebook page. Lastly, take a look at Steve's biography from the Facebook page below. Much thanks to Steve and his team for giving the Liberty Chronicle Independent the opportunity to speak with him and learn more about Washington State. I was born in Washington State and I’m a third generation native of the Pacific Northwest. After graduating from the University of Oregon with a Bachelor’s Degree in Biology and Public Health, I enlisted in the Navy where I honorably served for over 25 years in a variety of leadership roles including command. I participated in numerous operations and conflicts including, Bosnia, Somalia, DESERT STORM and the Global War on Terror. In my final Navy job, I served as the Executive Officer, Naval Station Everett. During that tour, I was a key player in the Snohomish County Homeland Security Strategy Committee. Most importantly, I proudly initiated an effort to help preserve one of the last tracts of lower Puget trough old growth Forest by naming the forest after Navy Forester, Walter Briggs, who saved this beautiful tract. Record of my military service is fully disclosed. More recently, I work as the Critical Infrastructure Protection Business area manager for Sound & Sea Technology, in Lynnwood, WA. In this role, I serve Project and Program Manager on a variety of military and private sector security design and installation projects. I was also contracted by Snohomish County Department of Emergency Management and the Washington State Region I Urban Area Security Initiative to deliver incident command courses to hundreds of firefighters, police officers, sheriff deputies, park rangers and other public officials in Snohomish, Island, Skagit, San Juan and Okanogan Counties. These experiences have been most rewarding. As a continued service to our state, I am the founding President of Liberty Watch of Washington. Liberty Watch was founded as a non-partisan organization dedicated to preserving the rights and freedoms of all Washingtonians as well as providing relief services to our citizens affected by disaster. Our first relief effort was to provide comfort to the citizens of Oso and Darrington following the devastating landslide. During the fires across Eastern Washington in 2014 and 2015, Liberty Watch sent teams to the region to help rebuild burnt homes, clear debris and install fencing. We later received a short notice request to raise and distribute relief supplies to residents who lost their homes to fires. In seven days, we collected over 30 tons of much needed supplies and our teams delivered these supplies directly into the hands of those in need. This effort led to the formation of Liberty Disaster Relief Services, or LDRS. As Executive Director of LDRS, I am preparing our teams to provide relief response to all corners of the State and beyond. Our goal is to keep our donation to delivery rate at close to 100%. I hold a PSC from the Royal Naval College in London and a MA (with distinction) in National Security and Strategic Studies from the United States Naval War College. I live in Seabeck, Washington and my wife, Julia is the Athletic Director for Naval Base Kitsap. Between us, we have five children and three grandchildren. I am a lifelong mountaineer and climber as well as hunter and fisherman. I look forward to serving all the people of Washington as your Commissioner of Public Lands. REI: #222401!! I’m getting close!! Lands and natural resources management in Washington State will be the national model for state lands management through our efforts to provide balanced solutions to all of the issues affecting the management of our public lands and land trust. In doing so, I will work with citizens from ALL sides to evaluate issues to provide intelligent, well balanced solutions to ensure increased revenues for our schools, create jobs, to protect our environment and to provide for abundant recreation to our residents and tourists. 1. I will examine all issues affecting our public lands and focus on measures to ensure abundant revenue generation and distribution; improved forest practices to both protect the environment and create jobs; streamline firefighting strategies to prevent the disasters of 2014 and 2015 from happening again. I will include stakeholders from all sides of issues in my examination to ensure a balanced way forward. Everything is on the table! 2. I will conduct an internal review of Department of Natural Resources Policies and practices with an eye toward ensuring the goals set forth in my vision statement are attained. I will work as a servant leader to assure the employees of the department are able to do their jobs in a productive manner to best serve the people of Washington. 3. The findings of the stakeholder study and internal department review will be synthesized to a roadmap for full implementation. I will do my best to make the best possible decisions for the good of our lands and for the people of Washington State. 1. Create jobs for the people of Washington through timber harvests to return our forests to a state of health; re-open access to public lands for recreation, grazing, mining and logging; and most importantly, by fulfilling our obligation to distribute State Trust revenues to the counties of our state. This will be accomplished while protecting our environment, wildlife and water resources. 2. Ensure the Department of Natural Resources and my office rapidly fulfill our obligation to generate revenues and provide those earnings to the people of Washington. 3. Streamline firefighting practices to prevent future conflagrations. This effort includes a thorough review of forest practices to enhance forest health. 4. Ensure the employees of the DNR have the tools they need to serve the people of Washington. I love our region. In my travels around the world, there is no place I would rather live. I want to preserve our lands so my grandchildren can have the benefit of experiencing what I have during my life here. In a Presidential Race dominated by Hillary Clinton and Donald Trump much has been said about Evangelical Leaders endorsing Donald Trump. It is said that the Evangelical vote all but belongs to him. However, the fact is many Pastors and Churches are unable to keep in step with these Evangelical endorsements of Donald Trump. Bear in mind that the same group of Leaders endorsing Trump is also the same group that has literally alienated and practically lost an entire generation of people. The Evangelical hierarchy would have you believe it’s the fault of the Church for not being Christian enough. Or that it’s all an End-Times conspiracy. The truth is that there is nothing wrong with the Church and there is absolutely another choice on the ballot of all 50 States besides Trump. Evangelical Shepherds seem to have lost sight of what is actually important to God and to the sheep. The sheep are just looking for a genuine reason to stand up and break ranks. I believe Gov. Gary Johnson is that honorable reason to break ranks with dubious Evangelical endorsements. I don't have to choose between the lesser of two evils. I can vote my conscience. Governor Johnson epitomizes principled integrity and honesty. There is no drama or ugly rhetoric coming from the Johnson Ticket. “There is no self-righteous agenda in his campaign or in his resume.” (examiner.com) His book, Seven Principles of Good Government, belies a genuine humility. His “free market enterprise” approach to economics and innovation ardently denounces the corruption of today's cronyism. Capitalism, with its self-empowering abilities, has become a distorted abomination supported by the Clintons and Trumps of the world. Johnson opposes both crony capitalism and the corrupt, compromising relationship of Congress to lobbyists. 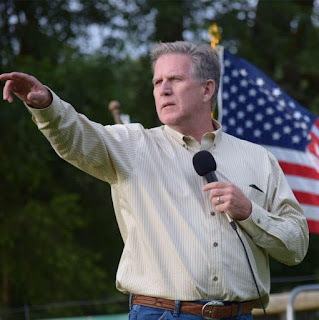 He is a consistent advocate for term limits and the reduction of political corruption they have engendered. Johnson speaks honestly, quietly and resolutely on the things that matter most. Trump and Clinton can't even fathom this. We as Christians are absolutely feeling the ever increasing pressure of the World around us. More Authoritarianism is not the answer. Thankfully, Governor Johnson is a genuine Constitutionalist and has a high respect and strong view of both the Constitution and the Bill of Rights. It’s that view which enables him to routinely re-examine himself while continuing to stand firm for things as important as the Civil Rights Act of 1964. New Mexico has a rich and diverse religious population. Native Pueblos, Roman Catholicism, Sikhs, Mainline Protestant Evangelicals, Buddhist etc. Nothing during Johnson's tenure as Governor indicates that he would appoint bad Justices or enact bad policy. Governor Johnson takes a solid stand for religious freedom. I take great encouragement that even when his positions are misunderstood he is honest and takes the high road. This was most recently demonstrated with what to me is one of the most astute balancing of Religious Freedom and Civil Liberties we have seen in decades: the ”Utah Compromise”. He also makes no apologies for the 2nd Amendment. My Christian ethos is not simply concerned that Donald Trump is a Crony Capitalist who has benefited greatly by loopholes and high powered relationships. Trump is making promises to one group within the Christian Church while attacking another part of Her. As a border state governor, Gary Johnson understands, immigration issues and he reminds us of our human brotherhood with the Hispanic community and with the members of our own spiritual family. Many Hispanics are Catholic Christians and many are members of a variety of Protestant denominations too. Under a Trump presidency, families will be broken up and deported. Churches and communities will be torn apart. Aside from the inhumanity of such actions, this would also have a significant economic impact across our country. 4) National Defense Should Be Just That: Defense. "Something that no one in this presidential race is discussing is that Sharia law is politics. Everyone in this country supports freedom of religion, but Sharia law is politics. Sharia law is absolutely incompatible with the US Constitution -- and that starts with women’s rights. We are clouding Sharia law with freedom of religion and we need to clearly separate the two. And we need to cut off funding to what is advancing Sharia." (Governor Gary Johnson) I appreciate that the Governors also understand the concerns of Israel. However, the United States is not the World’s Policeman. As a US Navy Veteran I am glad that Governor Johnson understands the necessity of maintaining a fully funded, modern military for the defense of our Nation, our Interests and our Allies. But also that Johnson stands firmly against Regime change and Nation building. He is a non-Isolationist, non-Interventionist. As such, I see him as the best candidate to keep members of our Armed Services ready at all times while limiting loss of life and limb. His is the Statesmanship and temperament I want to see in a Commander in Chief. Gov. Johnson is about recognizing the possibility of a sustainable energy market and a solvent economy. Trump is about shutting down the very things that drive the new transitions taking place in the technology sector. Gary Johnson is the Elon Musk, Tesla, Uber, Space-X and Blue Origin, high tech, high wage -- future thinking, Silicon Valley, pro innovation candidate that the economy has been waiting for. Donald Trump is not. Governor Johnson will move to abolish the Department of Education. It is failing our students and is a relatively recent addition to the federal bureaucracy, going back to Jimmy Carter. Governor Johnson has long been an advocate of school choice, school vouchers, home schooling and charter schools—in short, anything to stimulate educational competition and innovation. He is a charter school pioneer. His policies created merit based scholarship funding for New Mexico high school graduates to pursue college education. The scholarships are awarded based on high school grades, accomplishments and immediate enrollment in college following high school graduation. Scholarships are funded from state lottery revenues. Governor Johnson is fully aware of the problems public school children, private school kids, their families, home schooling parents and our educators are struggling with in their efforts to both educate and to exercise the free expression of their consciences while doing so. Governor Johnson is not pro-life. But he is also not pro-death. Both Governors Johnson and Weld are pro-Choice but want a pro-life economy. This is another example of the many libertarian paradoxes. Or what I have come to know in my own experiences as the quest for the radical middle. It's very clear that the two party narrative, and the binary choice of Right vs. Left can't figure out the Libertarian paradox of being simultaneously Pro-Choice and Pro-Life. We often feel forced to live in an either/or world.This is not doublespeak. Pro-Birth is not the same as Pro-Life. Pro-Choice is not the same as Pro-Death. Gary Johnson has been consistent in his view of these issues for decades. Donald Trump is a moral Free Fall. Our experience in the Kingdom of God should be based on God's character. Where we see godly character we see a facet of the Kingdom and of the Kingdom's God. These men have godly characteristics of integrity, honesty, maturity and peace. Their character is already changing the nature of the race. These are mature men with a sense of humility and deep quiet strength. That is sufficient for me. November 8th I am standing up and breaking ranks with leaders who no longer represent me. I encourage you to do the same. (In order of seating) Darcy Burner (www.darcyburner.com), Patty Kuderer (housedemocrats.wa.gov/legislators/patty-kuderer), Michael Appleby (voteappleby.com), Ramiro Valderrama (votevalderrama.com), Ronda Metcalf (www.rondametcalf.org), and Michelle Darnell (michelleforthehouse.com) all attended this candidate forum and answered various questions for students.